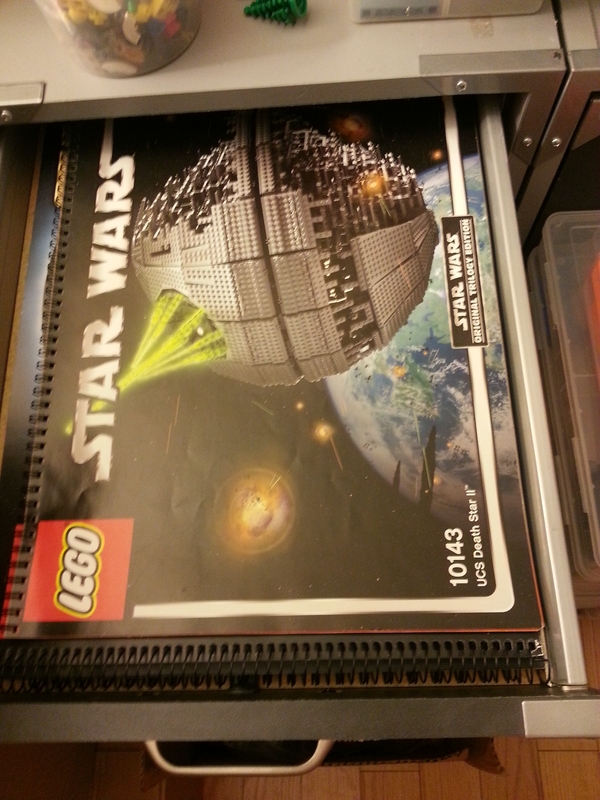 How do you keep your instruction booklets? I currently keep my instruction booklets (from about 60 sets) in 2 drawers, stacked on top of each other, structured based on their theme (City, Creator, SW etc). This is not really good, as their dimensions are different (I have petite City booklet, as well as huge booklet from City), searching through them will wear them in time more than I`d like. How do you keep your instruction booklets so that you find them quickly when searching for a certain one, and also so that their wear over time is minimal? I store mine in transparent plastic popper wallets. Keeping them stacked in drawers is what I use to do as well. This worked reasonably well up until the instructions began ballooning in size little more than a decade ago. Since then been a bit of a struggle to keep up and maintain a well organized library. I have quite a few more instructions than you do, so I understand how quickly frustrating it can be not to be able to find what you're looking for quickly. Like you, punching holes in them was strictly off-limits as was anything else that would damage them or cause wear. My solution has been to put them in a page protector that has holes already in it and then put those in a large D ring binder. This allows me the freedom to organize instructions by set number and for fairly quick searching. Page protectors must be PVC and vinyl free. I prefer mylar, but polypropylene is a close second. PVC and vinyl are not good materials to having contact with paper for long periods. They can cause's integration of the paper, lifting of printing or alteration of colors. When I was a kid, I put them all in a binder. Now, I just keep them in a slim plastic filebox. (http://www.target.com/p/room-essentials-super-stacker-document-box/-/A-14786976 that, but I got it for cheaper than that at another store.) Keeps them dry and safe and I can stack. In manila envelopes in a filing cabinet. @LusiferSam : Do they stack well in the D ring Binder? Having booklets from the verry small to the big A4 type? How do the big ones (A4) stack over a couple (or more) of consecutive smaller type? 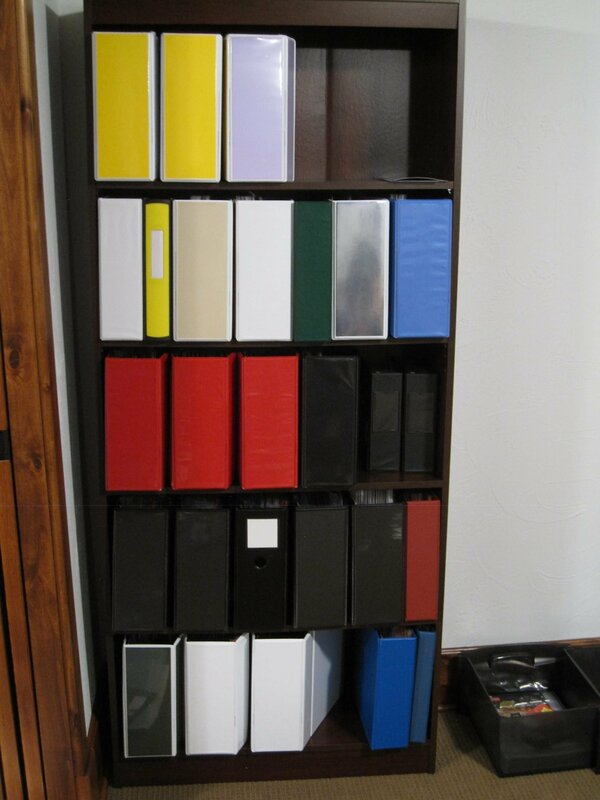 Or do you keep yout Binders vertically? @xwingpilot If you keep browsing through the booklets, looking for a certain one, all of them will wear out in time. Even if you don`t use them. 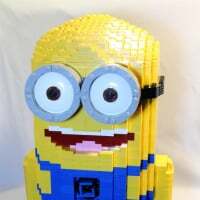 My ideal storing solution would be without my fingers having to touch them when brosing/looking, except when using it to build what`s described inside. Also not having them bend because of staking of large booklets over small booklets. If you want your instructions to stay pristine, build from PDFs. I recently tried the plastic sleeve in a binder method, and it failed dismally. The different sized booklets and the weight of them meant the sleeves would sag if stored upright, and wasn't very practical to leaf through them to find what you want. Now I've gone back to the portable filing case I had previously. I still have them in the sleeves, but its so much more user-friendly to find the booklet you need without disturbing the other ones too much. 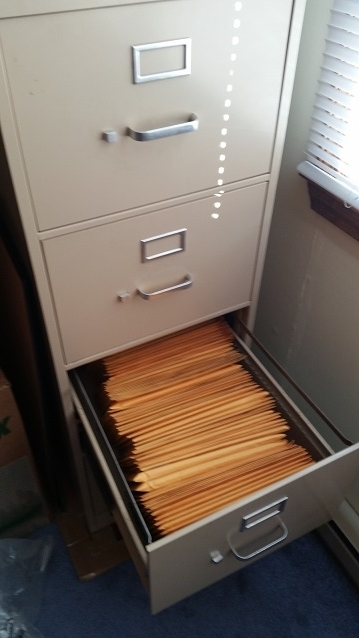 I think a filing cabinet would be the ideal storage if you have the space and don't need them portable. You're quite right and I try to do that myself but, sometimes, it's very difficult to tell two similar parts apart using the PDF. Take #79003 An Unexpected Gathering and parts 4647546: Roof Tile 1X1X2/3, Abs and 4546705: Roof Tile 1X1X2/3, Abs. Perhaps it's my eyesight, but I can't tell the difference between them in the PDF, whereas it's obvious on paper. I'm sure that there are other, better examples, but that one sprung to mind, as it was annoying me the other day. I keep mine in an accordion filing box. Although that is becoming quite hefty now and not as organized as I would like. I think I am going to switch to putting each "book" in its own plastic sleeve that has holes in it to place within a binder. I think this will prove most efficient and safeguard the instructions while also making it easy to sort and find one when I want to build a set. Mine are in plastic wallets in ring binders organized by theme. I store mine in a RUB that has hanging files in it, although they don't hold many and you end up with lots (but the RUBs stack nicely). But I want some help on the subject, mostly by making it much more specific (no answers here would work so far). How do people store the #10188 instruction manual? 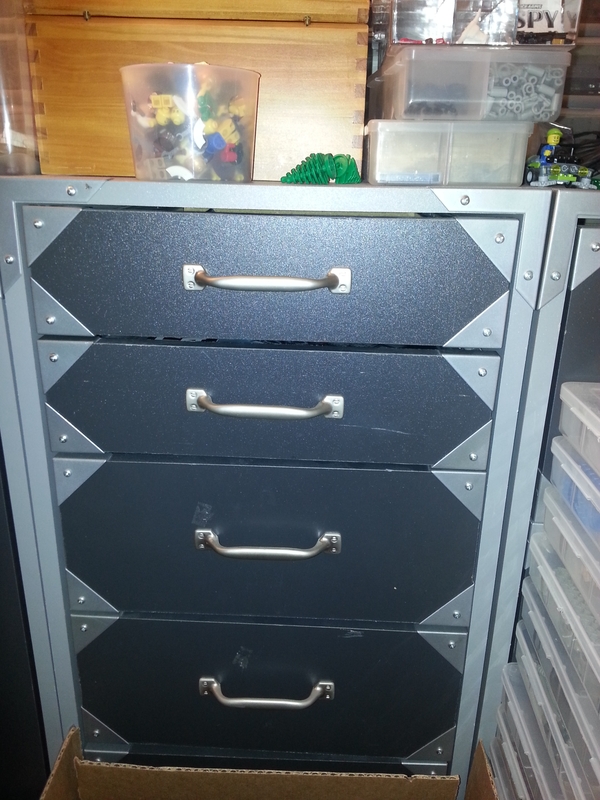 I had been sticking most of my older (pre-college) instructions in a rack of file folders in the basement, divided by theme, but like a lot of my LEGO stuff in the basement it's now largely inaccessible. For my more recent sets (past seven years or so), I've actually started slipping them into the plastic baggies that instructions for larger sets have been coming in, divided up by theme and sometimes by year (Ninjago has to be split into at least three bags just so they don't burst). Then I keep those baggies on a bookshelf which I recently cleared some space on. Fortunately, I buy enough large sets to have plenty of these baggies, but now that LEGO has started making the instruction manuals for larger sets "perfect-bound" I have a bit of a dilemma, since the perfect-bound instruction manuals come in sealed plastic bags that are much harder to open without tearing, and next to impossible to reuse. Not that I'm faulting LEGO for changing their bag design, which now looks a lot more professional — it just is a bit less convenient for me. And granted, I'm still looking for a more permanent solution. Perhaps by the time I run out of this style of bag, I'll have found one. I have all of mine in file folders, inside file/banker's boxes. I basically sort them by genre, alphabetically. 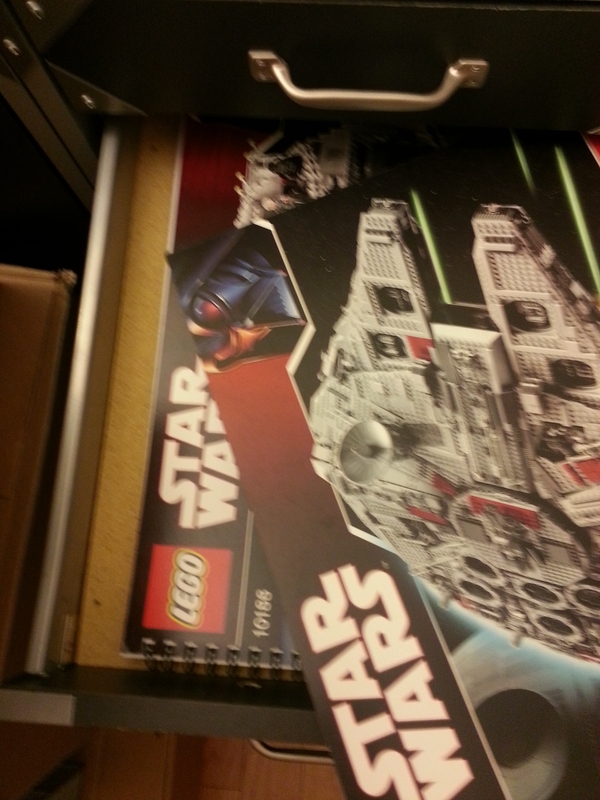 Bigger sets with multiple manuals get their own folder. Smaller sets within a theme go together. 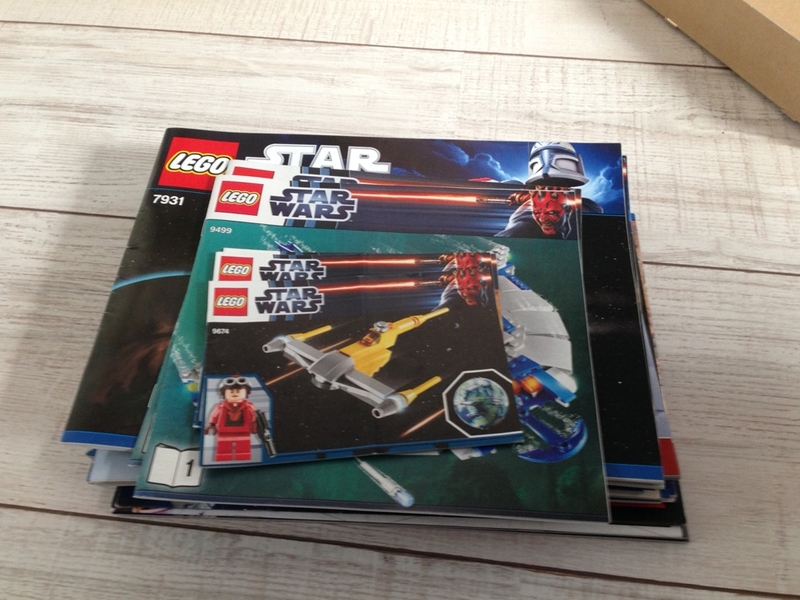 More valuable manuals (modulars, UCS, etc) go inside a plastic sleeve as well. Am I the only one who filed by set number? It does yield some odd results like some of the 'newer' City sets and 9v train accessories being located in the 4000 series (with Pirates of the Carribean) while my 80s town stuff is in 6000 (with a loads of Space and Castle) and 12v trains in the 7000 series, but it's the way my brain seems to like it! With mine, I file by theme and/or year, then by booklet size, then by set number. Set number is still a factor but it comes after the more practical considerations, because it's easier for me to remember what theme a set is from and when it came out than to remember what its number was! And sorting by booklet size helps me to keep the manuals tidy. What do you do with sets that come with booklets in a myriad of sizes? @arathemis I keep them vertical on a book shelf. Stacking the binders wouldn't really work. I could maybe stack three of them, but a book shelf clearly works better in my case. Yes, they are organized by theme. Anybody care to guess the what color is which? The photo represents about 2/3 of the my instructions, but is the bulk of my collection. The rest smaller or more limited themes that I have. Also this doesn't include any pre 1978 instructions. I'm planning on working on those early next year. 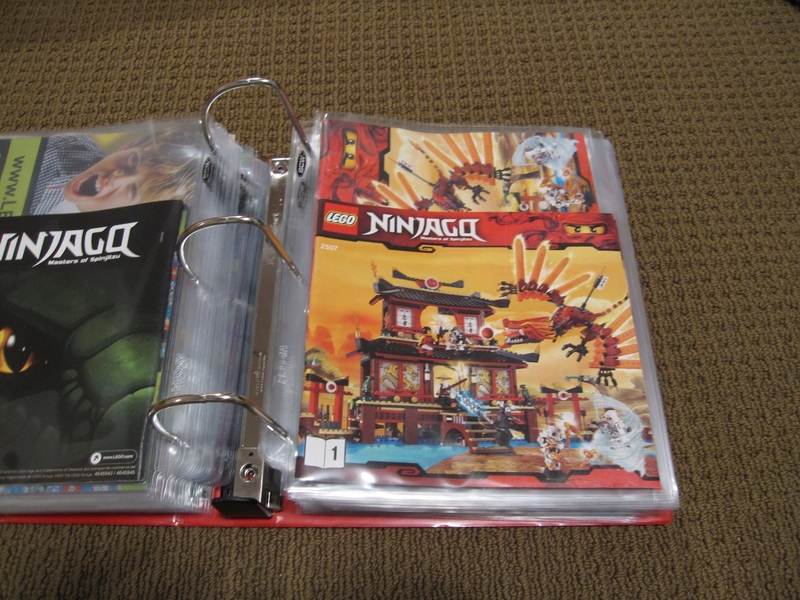 Here's are some examples from one the of Ninjago binders. Usually separate them by size. I usually only keep only a dozen or so instruction booklets of various size in each plastic bag, so I don't always need a set's instructions to all be together as long as they're all in the same bag. Having them together with others of the same size is more convenient than with others from the same set since it keeps them from getting wrinkled. I agree @Aanchir, but when you look for them, do you know what size was the booklet for the car in set XXXX? I only have about 60 sets, and I can`t remember the size of every booklet. Sorting them in terms of theme makes more sense (to me), but having a big booklet, followed by a smaller one, makes my hair rise on my spine. (Guess i have some form of OCD myself). Well, again, if I know what theme it was released in and what year it was released in, I know what bag it's in and can check the booklet sizes one at a time. It's also worth noting I don't buy a lot of sets like larger City sets that come with several booklets — even the bigger Ninjago sets usually have just one or two. If I were a City buyer myself, then this system might not work out nearly so well. Like several others here, I sorted my books into binders in protective sleeves. I have 1-4 books per sleeve, usually, depending on the size and the number of books in a set. Each binder has a theme in it and I printed off theme logos as stickers which I stuck on the outside. Unfortunately I used Avery mailing label stickers which do not come off. So lesson learned, next time I'll use something more removable. Inside the binders the books are arranged by theme and in a theme by set number. Some small themes (or themes I barely ever bought) I put together as one, e.g. I've combined all the various racing themes into one and mixed those with City. I could be more rigorous about it but there've been dozens of themes over the years. Sorting by set number doesn't help when I need to look up a set as I've stopped memorizing the set numbers now that every set has a name on the box (and the set numbers are long). However, having the set number lets me easily put it back where it goes after I remove it. 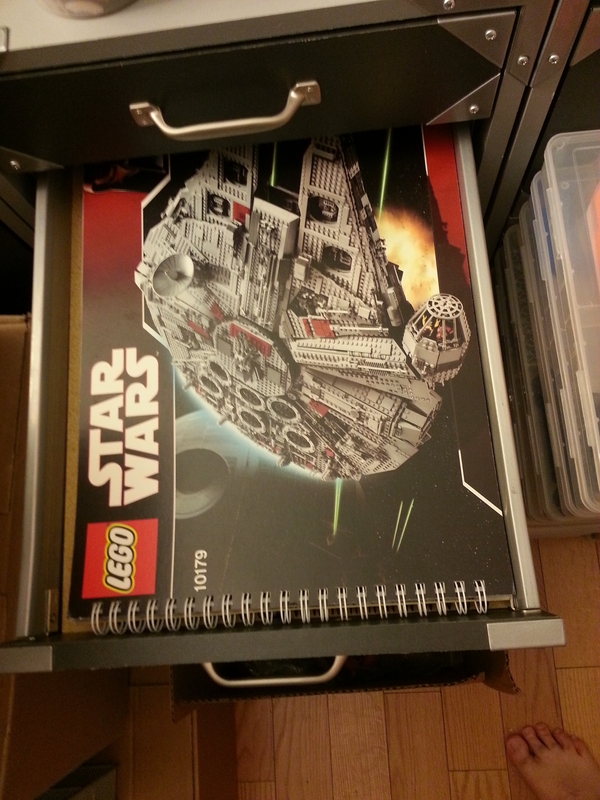 I also keep the unused stickers, lego catalogues, and other such papers in similar binders. Still nobody revealing their secret method for storing the #10188 manual then. Unless everyone has giant lever arch folders and filing cabinets that I don't know about. I guess I will start - I store it laying in a cupboard. But I hate putting anything on top of it, or it on top of anything. So that isn't really working out for me. To keep it on topic, I sort by theme and then size, small to large. Yup it takes ages to find anything but I nearly always build from PDF so they only get touched for the original build and filing time. I've got too many sets of instructions now, but copy shops often ship copies in boxes the same size as a pack (no, not a box) of paper. 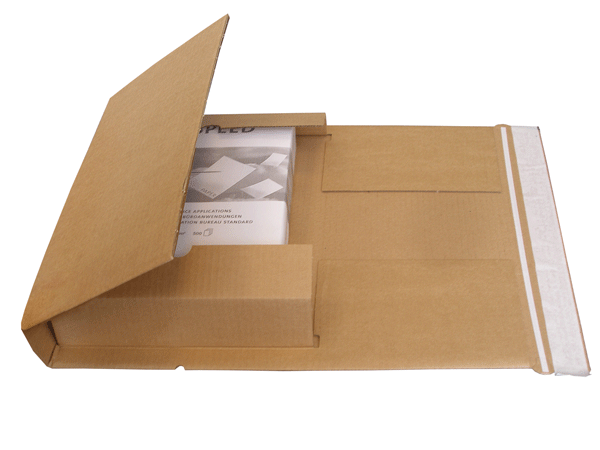 They hold a relatively small number of booklets, are the right size, and protect them well. I use these to store the modular instructions I have; I put them back in the polythene bag and then wrap the packaging around. I then label the outside and stack them. I've no idea how big the instruction book for the Death Star is but you can get pretty big versions of this. Still nobody revealing their secret method for storing the #10188 manual then. But seriously, that's one of those I don't have a great solution for. Currently it just lays around where ever it covenant. Aleydita's idea might be a good one. I may have to look into it. I keep the big manuals like that either in the original box, or in the bottom drawer of my instruction file cabinet. The ones I keep go in box files. The rest go in a box by the fire. Might as well use them for something. @gmonkey76 : Nice. Very nice. What about people without a 10179 to protect it though?! 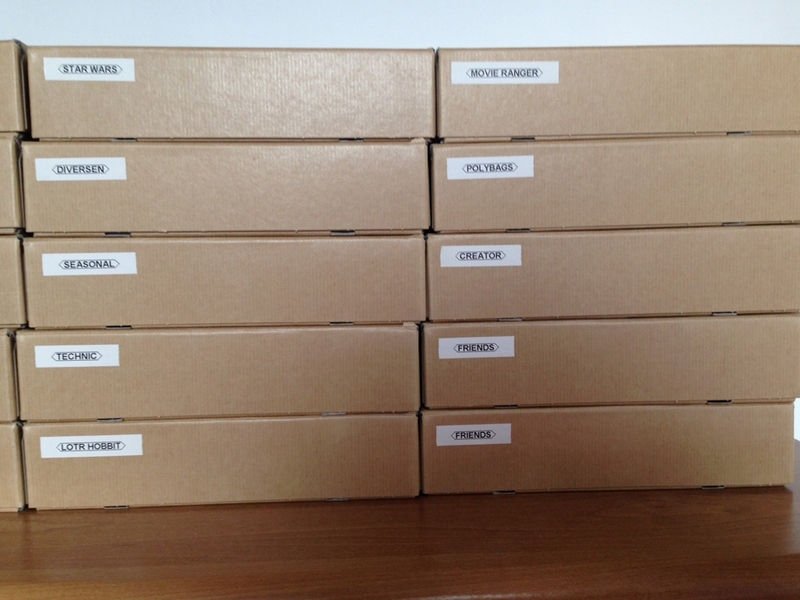 For me this is the best solution: I put them into card boxes which are exactly A4 size (loose bottom + top). They stay pristine, cannot sag like when you put them vertically in files/folders and I can put an amazing number of different seized instructions in just one box. Then I group them by theme. First photo is contents of one box. 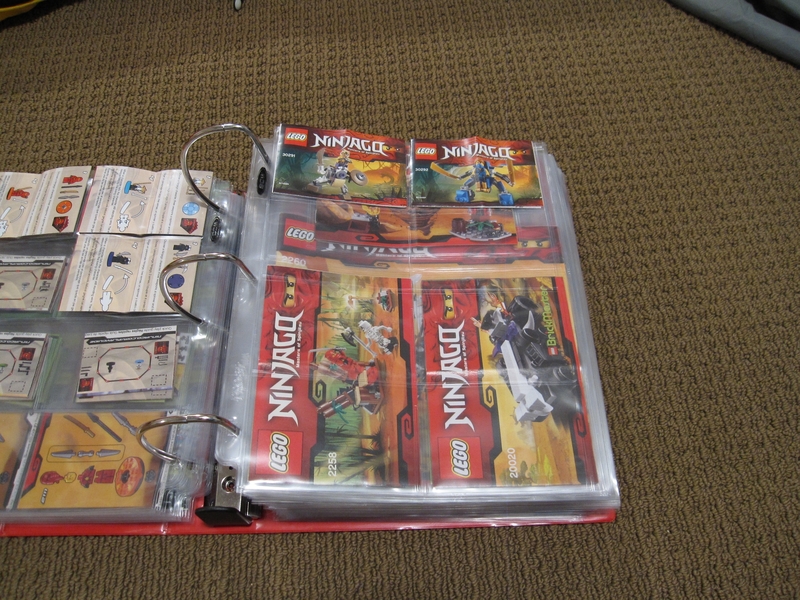 I personally store the manuals inside the plastic bags along with the completed sets.